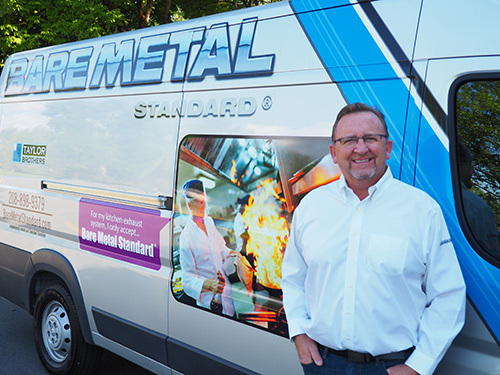 Mike Taylor is founder and President of BARE METAL STANDARD, INC Kitchen Exhaust Cleaning Services. 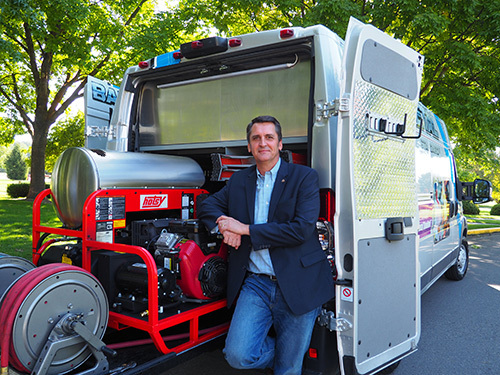 In this role, he actively advocates for BARE METAL STANDARD, INC Kitchen Exhaust Cleaning Services and the beliefs that come with it – raising awareness about the life and property protection services of kitchen exhaust cleaning and helping to raise the integrity and quality of the industry as a whole. Mike Taylor has been perfecting the process of cleaning kitchen exhaust systems since before he was old enough to drive. Having never filled out a job application in his life, he has dedicated his entire career to building the family business. He was motivated not only by his desire to be the best in the industry, but to build a business that would provide for many families, including his own. James is currently the President and CEO of Bare Metal Standard Inc. and is responsible for running all facets of the business. James has an accomplished track record with over 25 years experience in international and domestic market expansion. James has held positions with Idaho based companies since 1990 starting with Trus Joist and then moving to Extended Systems. James has also held positions of VP with small venture capital investments in law enforcement equipment. James managed the acquisition of a Fire & Safety company in 2009 where he functioned as the CEO of Taylor Brothers Fire & Safety from 2009 – 2017. James has served on the Board of the National Fire Equipment Distributors Association for 3 years, and has also served on local non-profit and for profit boards. He earned his BA degree at Pacific Lutheran University.